Clark placed at No. 94 in last year’s rankings. The Best Colleges 2013 guidebook will be in stores on Sept. 18 and is available at the U.S. News Store. 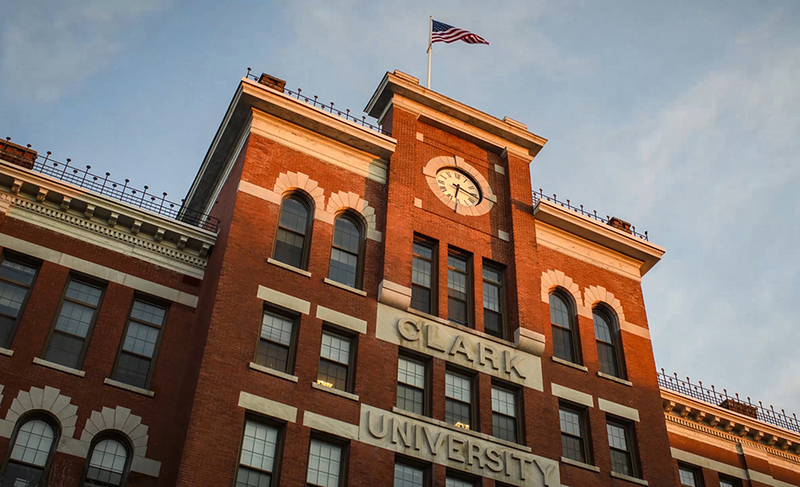 Clark’s inclusion in these categories, as well as factors such as its graduation and retention rates, faculty resources, student selectivity and more, are why it remains among the top 100 universities in the nation. Aside from the ratings, however, Honeman said the best way for a student to evaluate whether a college is a good fit is to “spend a few hours on the campus, meet our students, attend a class, get a sense of student culture and gain a first-hand view of the Clark experience.” Click here to learn more about the Clark Visit Experience. The U.S. News college rankings, compiled for the past 27 years, groups schools based on categories created by the Carnegie Foundation for the Advancement of Teaching. The rankings claim to be the most comprehensive research tool for students and parents considering higher education opportunities. According to the U.S. News Media Group, the America’s Best Colleges ranking package, which includes extensive editorial content and multimedia resources, has helped families navigate the difficult decisions involved throughout the college process, from college admission and selection to financing options.